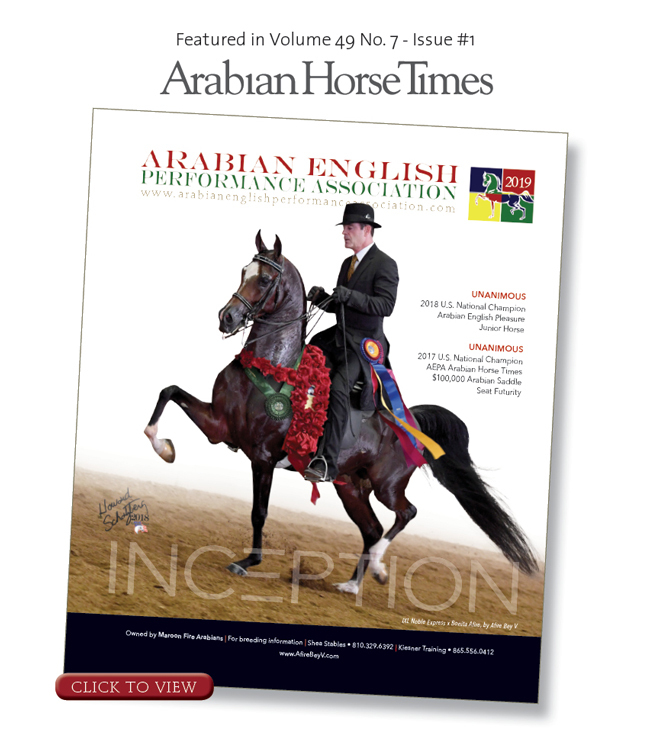 Bred by Maroon Fire Arabians, Inc. Bred by Venture Farms, Inc. Bred and owned by Dolorosa Arabians Ltd. Owned by The Brass Ring, Inc.